Can I Date While My Divorce Is Pending? - Amaral & Associates, P.C. Conduct of the respective parties during the marriage. Ages of the respective parties. Health of the respective parties. Station of the respective parties. Occupations of the respective parties. Amount and sources of income of the respective parties. Vocational skills of the respective parties. Employability of the respective parties. Estates of the respective parties. Liabilities of the respective parties. Needs of the respective parties. Current needs of the minor children of the marriage. Future needs of the minor children of the marriage. Opportunities available to the respective parties for future acquisition of capital. Opportunities available to the respective parties for future acquisition of income. Contributions of the respective parties in the acquisition, preservation or appreciation in value of their estates. Contributions of Husband and Wife as homemaker. It is the second factor, Conduct of the respective parties during the marriage that is most important when it comes to dating while a divorce is still pending. If a spouse who is still going through a divorce spends significant amount of money on their new love interest, then the Probate and Family Court can construe that as a dissipation of marital assets, and award the other spouse a greater share of the marital assets because of this. Otherwise, the Probate and Family Court will give little consideration to dating when dividing marital assets. The other financial issue is alimony. For a spouse who is receiving alimony, alimony can be “suspended, reduced or terminated upon the cohabitation of the recipient spouse when the payor shows that the recipient spouse has maintained a common household, as defined in this subsection, with another person for a continuous period of at least 3 months”. G.L. c. 208 §49(d). 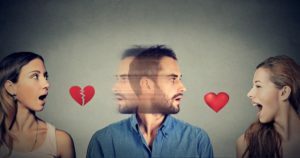 So if a spouse who is receiving alimony moves in with their significant other while the divorce is pending (or even after the divorce is finalized), then the alimony can be suspended, reduced or terminated. The other issues that arise with a spouse who is dating during a divorce relates to custody and parenting issues. If a spouse is dating a new significant other, it is not uncommon to address in the divorce whether the children will meet this significant other, and whether the spouse/parent can move in with this significant other without any impact on the parenting plan. Also, if a spouse’s significant other has a criminal past, history of substance abuse, or prior involvement with DCF, the significant other’s character can be scrutinized in the divorce in determining whether this is an appropriate person for the children to be exposed to. This can all impact the custody and parenting plan of a family. Whether a spouse should date after separating and while a divorce is pending is a very personal and individualized decision. There is no law in Massachusetts that prevents spouses from dating after separating or divorcing, but if a spouse does choose to date, he/she should be mindful of how it can impact his/her divorce.